Owning a transportation business, be it to transport cargo, people or commercial goods, is an expensive investment. You need to ensure you have the correct equipment to do the job, as your bottom line depends on successful delivery. While a trucking business requires a variety of different sized trucks, it’s not always possible to buy these units upfront without financial help and assistance from a broker. If you’re stuck and need to apply for trucking finance but don’t know how to go about it, do some research and become familiar with the various financial brokers which provide trucking finance. Much the same as the approach you will take when considering your preferred truck to meet your business objectives, you need to have the same mindset when applying for finance. Shop around and find a variety of different rates, for example, interest rates and repayment costs that are best suited to your budget and needs. Before you consider any finance application or change your decision because you think you won’t qualify, do your research and get your facts in order. View an online vehicle finance calculator to learn more about the repayment possibilities and whether or not you would be able to qualify for a specific vehicle. If you have a poor credit record personally or as a company, try to improve it to increase your chance of being accepted. So, in essence, buying a truck cannot be an impulse decision. As a costly financial investment, the entire process requires you to make careful decisions based on your financial abilities. There are certain qualification requirements to consider before you can apply for your finance. If possible, a saved lump sum will be of assistance as a down payment will eliminate some of the financial risks of not being accepted for the entire amount. Once you have planned your finances according, made a decision based on the repayment calculator and spoken to a variety of different financial providers, you will be able to successfully apply for finance that fits with your circumstances and business needs. As briefly mentioned, you will need to compare the rates given by a variety of different lenders. Each company that offers truck finance claims to offer the best package or benefits on their truck finance, so try to weigh up your options based on your company’s needs and not what looks like a good deal. Remember, this is a long-term investment. Whenever you rely on any company to finance a product or service for you, it becomes a risky venture. Make sure that whichever company you choose to go with, you have spoken to professionals and sought financial assistance to make the best possible decision. Once you decide on the financial company you want to go with, make an in-depth analysis of the features and benefits that will add value to your life and provide you with less financial stress. It’s all about the flexibility of payment because it’s already going to be a hefty business expense as it is, so it will be useful to understand the different policies and repayment extensions available to you. Once you narrow down your list to include only the features that speak to your needs, it will be easier to make a decision. Similar to any large expense, it is highly advised that you save before you go ahead and apply for finance. Putting down a deposit will lower your repayment amount and can be useful in the long-term when speeding up the number of years needed to repay the money. If you don’t use all of this money on the down payment, it can go towards other elements such as insurance, tracking devices and more. Gather all the information you need to provide to the financial broker or lender. Some of these documentation forms can push out your application process because they take longer to receive, so try to plan and collect these documents ahead of time to speed up your process and odds of being accepted. 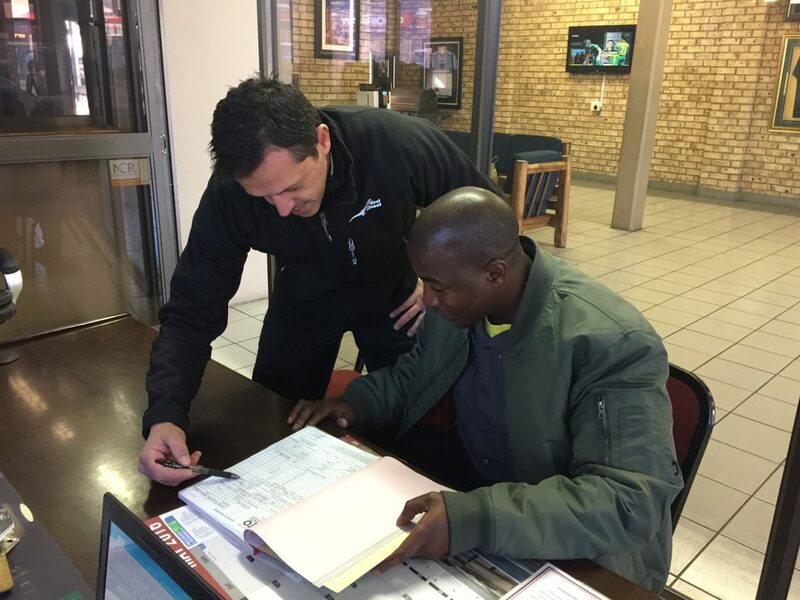 When applying for your vehicle finance, don’t forget to factor in additional insurance costs. This rate will be high too, which could affect your cash flow if you have not considered the additional costs. However, you cannot afford to leave your vehicle uninsured. Unforeseen events happen when you least expect them, so it’s important to look at the bigger picture before you make any impulse or final decisions. Applying for finance on such an expensive unit requires plenty of advice and guidance. The last thing you need is to apply and be stuck in a difficult situation when your business falls into trouble. Once you have all the information you need, you will be ready to move forward and apply for the finance you need.